On June 24, Arcoiris, an evangelizing movement for adolescents, held its rodaje (retreat) at the Cathedral of Our Lady of Guadalupe in Dodge City. The participants were from St. Mary Parish in Garden City, St. Anthony of Padua Parish in Liberal and the cathedral parish. 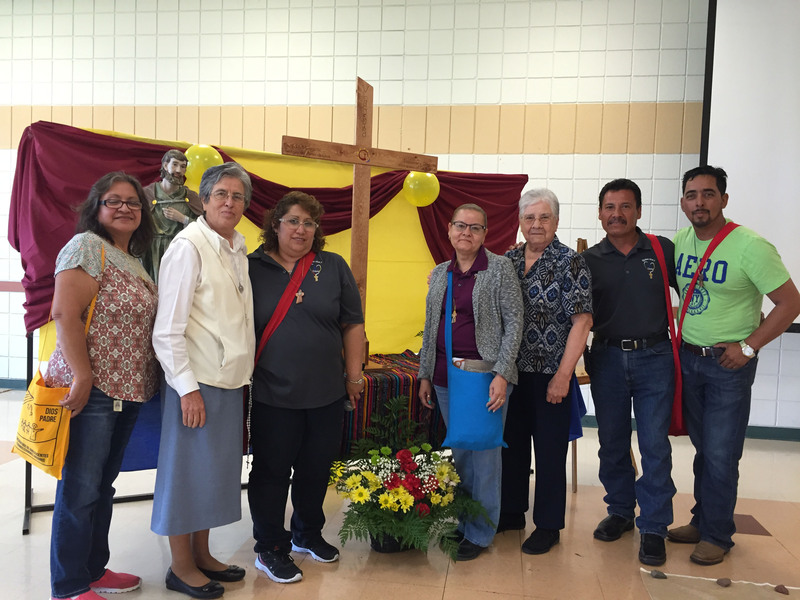 The themes of the “V Encuentro” were presented by the Arcoiris coordinators and their teams. V Encuentro is a process begun in January, and will continue until October 2018, during which parishes across the country are asked to discern ways in which the Church in the United States can better respond to the Hispanic/Latino presence, and to strengthen the ways in which Hispanics/Latinos respond to the call to the New Evangelization as missionary disciples serving the entire Church. Themes introduced by the Arcoiris youth included: “Called to a loving encounter with Jesus”, “With words and actions: Do it!”, “Walking together with Jesus”, “Bearing fruits of new life”, and “Celebrating the joy of being missionary disciples”. After each presentation, time was given to reflect on how we live what was heard. A delicious meal was prepared by José Cervantes and the Arcoiris team. And there was a lot of music with Christian messages to deepen our commitment to the Person of Jesus and being faithful missionary disciples in our families and communities. It was a day of many blessings! Members of the Arcoiris leadership team include Left to right: María Aguirre, Sister María Elena Martínez, Maribel Cervantes, Aurora Hernández, Sister Angela Erevia, José Cervantes, and Luis López. Featured Image: Members of Arcoiris youth groups from Garden City, Liberal, and Dodge City, attend a rodaje (retreat) at the Cathedral of Our Lady of Guadalupe June. 24. 2017 © Posted with permission from the Southwest Kansas Catholic. Photos by Dave Myers.